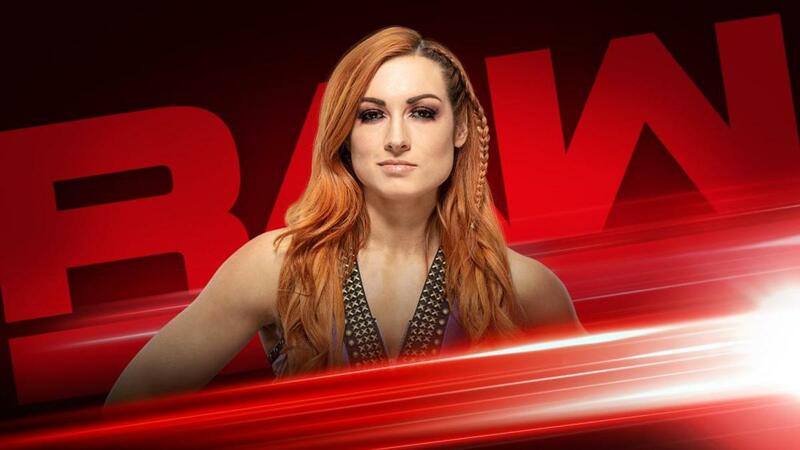 Despite being "suspended" last week, it looks like Becky Lynch will be making an appearance on this coming Monday's episode of Raw. WWE announced that Lynch "has been invited to Raw by the McMahon family for the second straight week." There was an angle on this week's episode where Stephanie McMahon suspended Lynch indefinitely until she gets her knee (which is injured in storyline) evaluated. Lynch responded to the suspension by attacking Stephanie. Lynch also made an appearance on SmackDown this week. She interrupted Charlotte Flair at the start of the show. Triple H then came out, with the storyline leading to him cutting a promo on Lynch, questioning if she's really injured, and saying Lynch is afraid of Ronda Rousey. Lynch then slapped Triple H.
This will be the third week in a row that Lynch has appeared on Raw. After winning the women's Royal Rumble match, Lynch confronted Rousey the next night and announced that she'll be challenging for Rousey's Raw Women's Championship at WrestleMania 35. Monday's Raw is taking place at Van Andel Arena in Grand Rapids, Michigan.